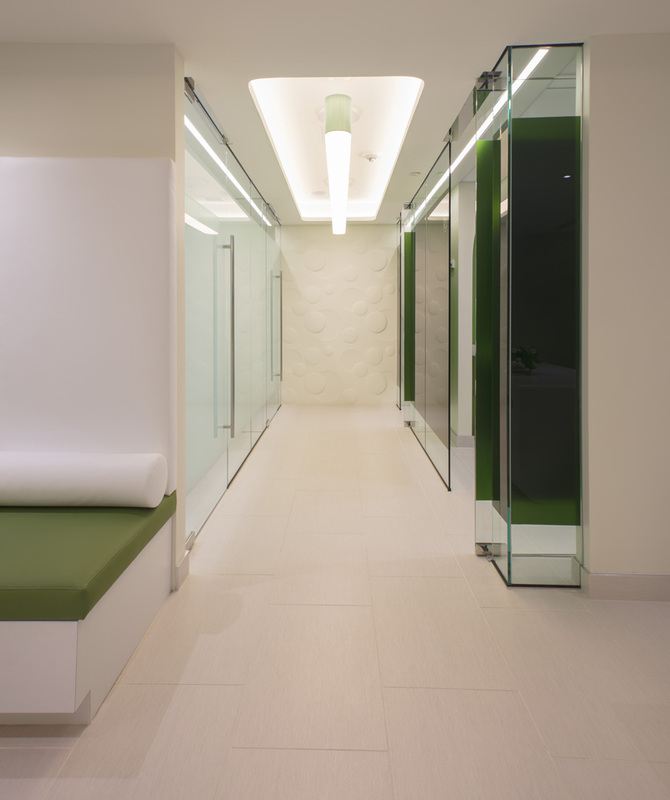 FORMA Design was commissioned to design a state-of-the-art dual clinic for Dr. Jonathan Johnson, MD,MBA,CWSP: the Capital Aesthetic + Laser Center (CA+LC), a plastic surgery clinic specializing in botox, fillers, liposuction, hair removal and other aesthetic procedures, and the Comprehensive Wound Services clinic (CWS), a clinic specializing in wound care, primarily for elder patients from nursing homes or patients that have experienced trauma. 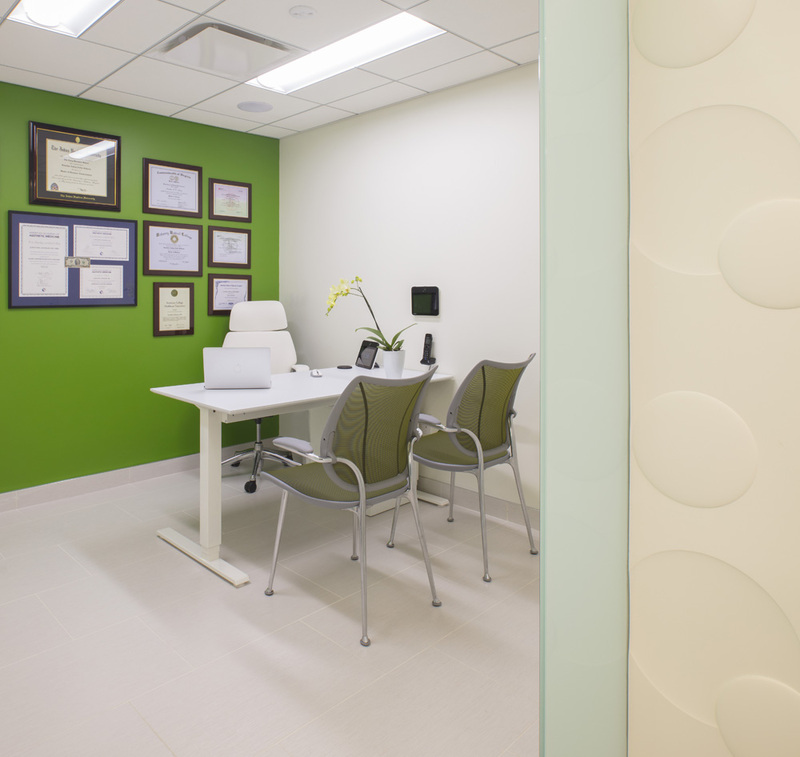 Both clinics occupy adjacent medical spaces in a building close to the GW University campus, in Washington, DC, and the doctor heads both, with the assistance of specialist care providers in each one. 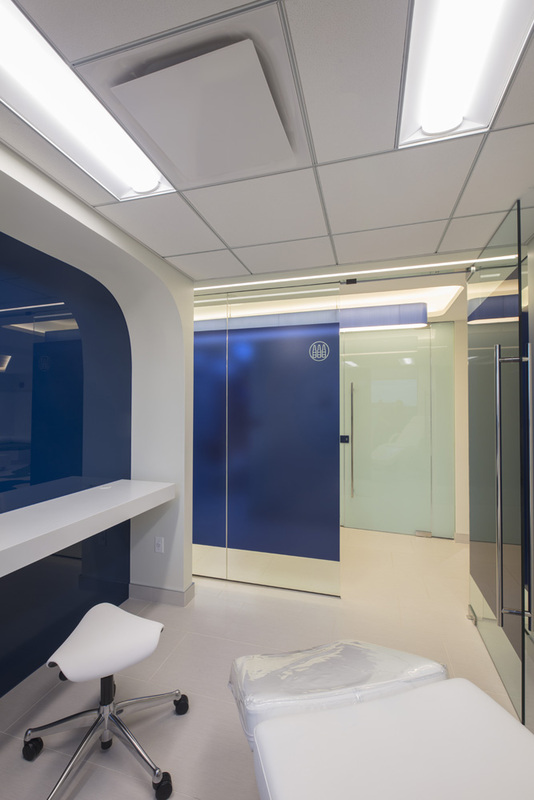 Initially the doctor asked us to design two separate clinics, with two reception areas, two receptionists and totally separate identities. 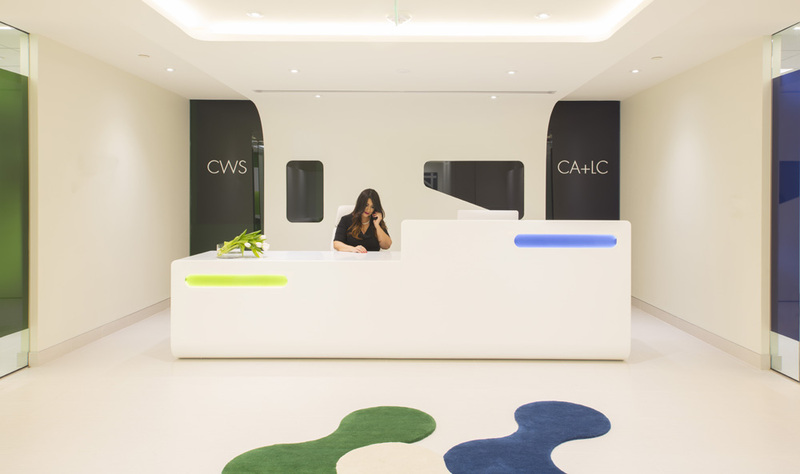 We convinced him to rethink the concept, and have us design the two as sister clinics, sharing the same reception area and architectural articulation for more efficient use of the available space, and using color coding to differentiate them both spatially as well as in their branding/website and functionality ( blue for CA+LC, green for CWS). 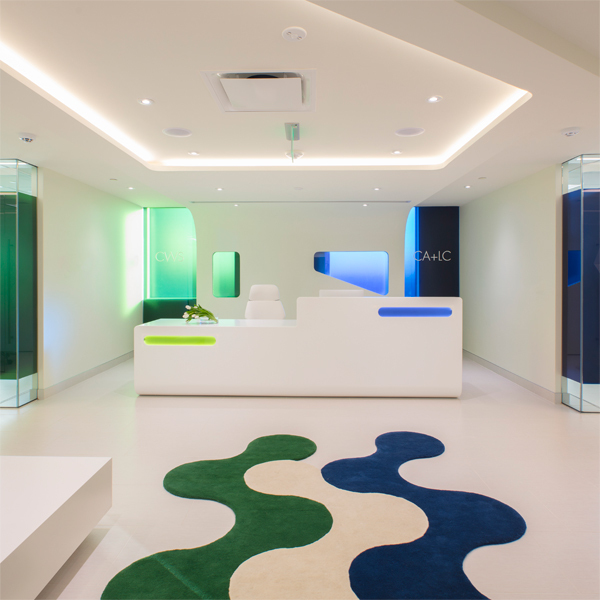 FORMA provided a comprehensive solution encompassing the Architecture and Interiors, the brand identity, clinical graphics, website design and furniture selections. 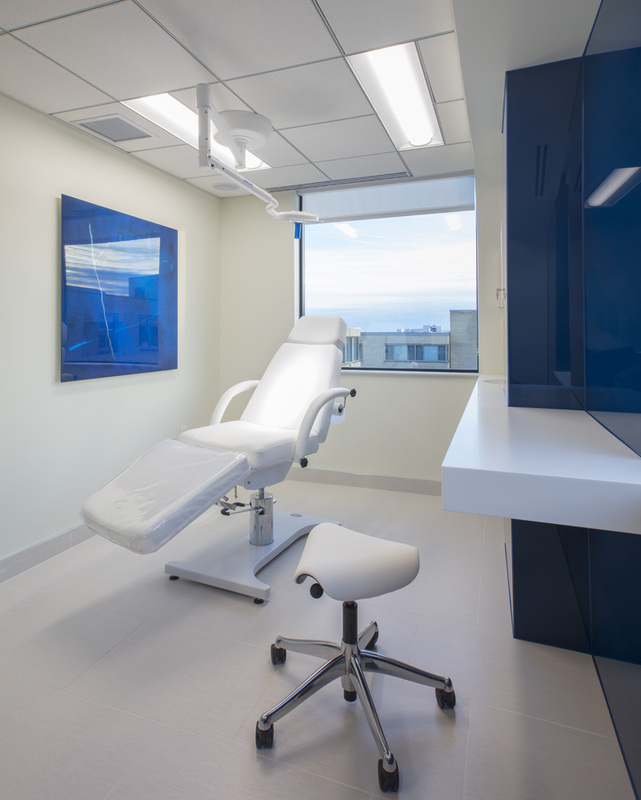 The clinic opened for business in late 2017. 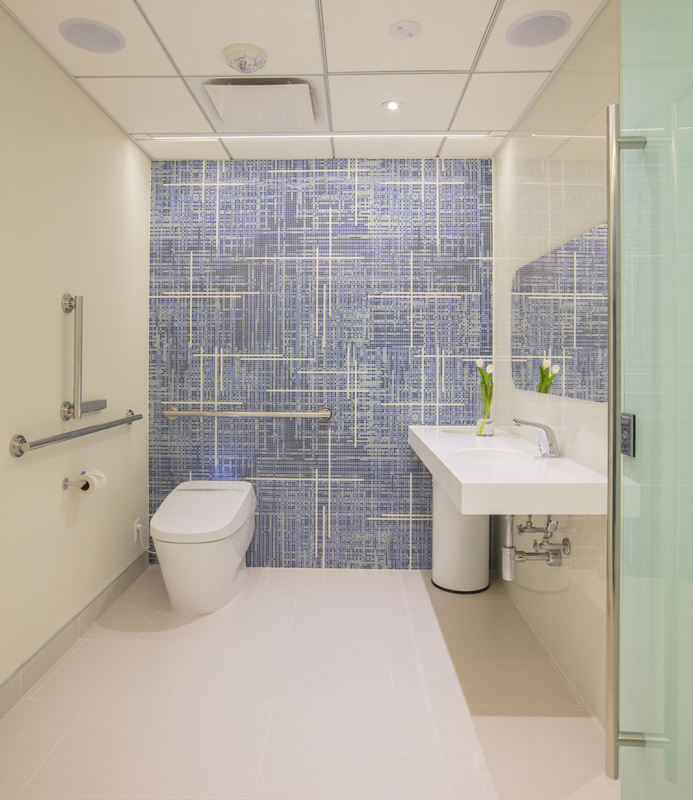 The project won a International Interior Design Association (IIDA)/ Mid Atlantic chapter Merit Award in April 2018. 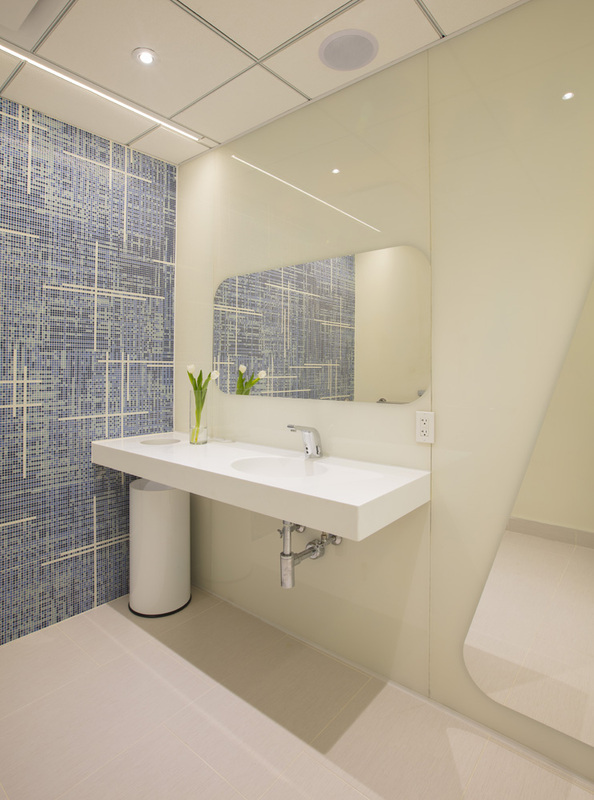 The project won an American Institute of Architects (AIA) / Northern Virginia chapter Merit Award in June 2018. 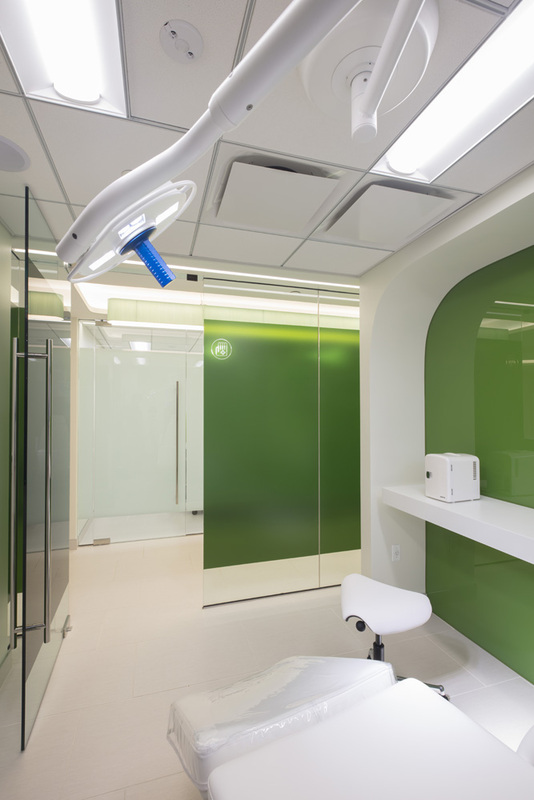 The project won an International Interior Design Association (IIDA)/ South Florida chapter Honor Award as Best Healthcare Small project of the year in July 2018. The project was on the cover of Healthcare Design magazine in September 2018. 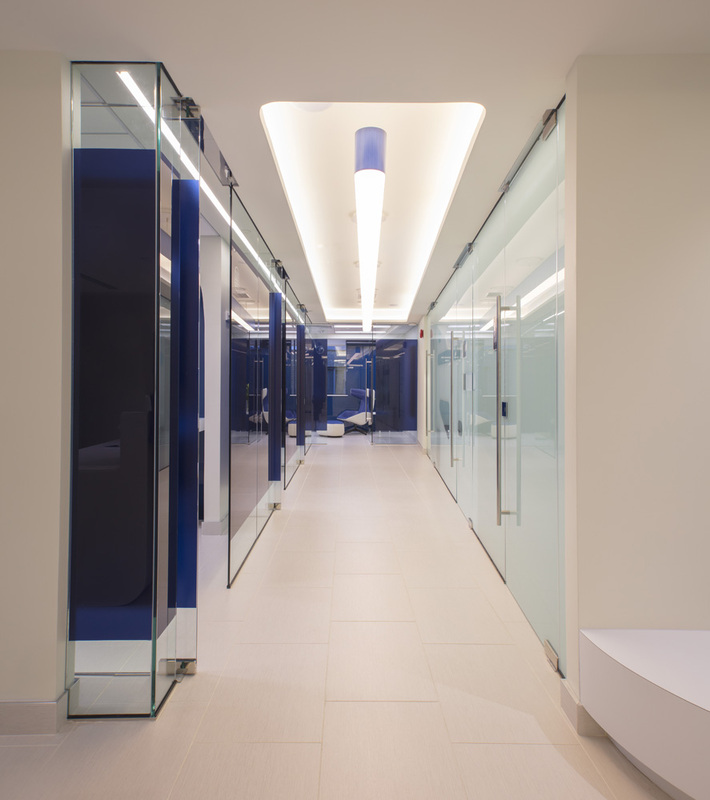 The project won an American Institute of Architects (AIA) / Miami chapter Honor Award in October 2018. 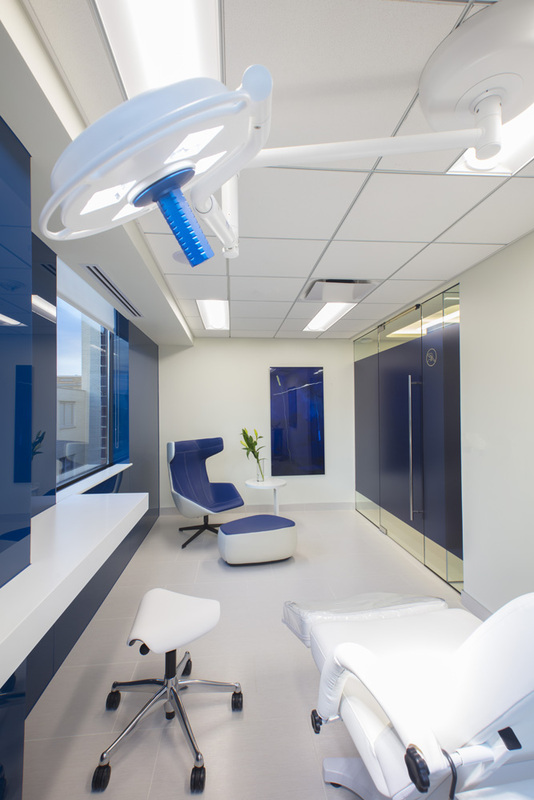 FORMA Design's team, led by Andreas and Juan, turned our Wound Care and Aesthetic Medical practice's non-traditional vision into a reality! 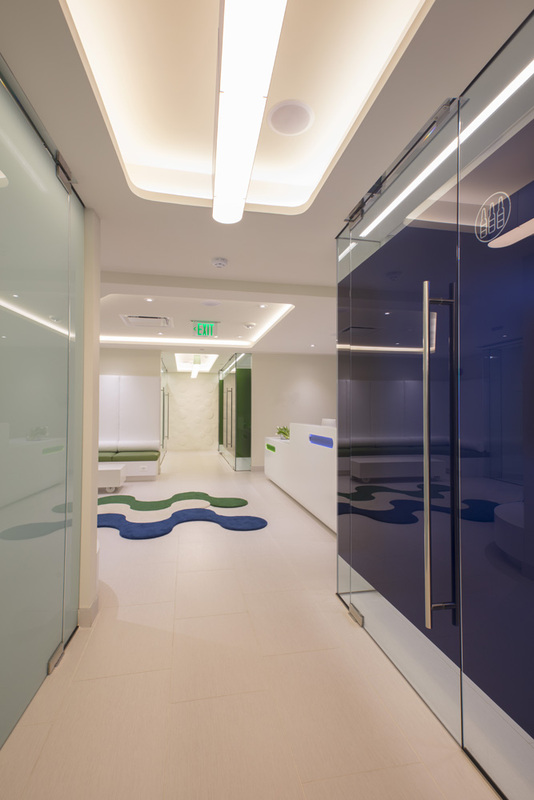 Through interactive design sessions, Andreas and his team developed a design that embodies Capital Aesthetic and Comprehensive Wound Care Services's core values and patient commitment throughout our new practice headquarters. 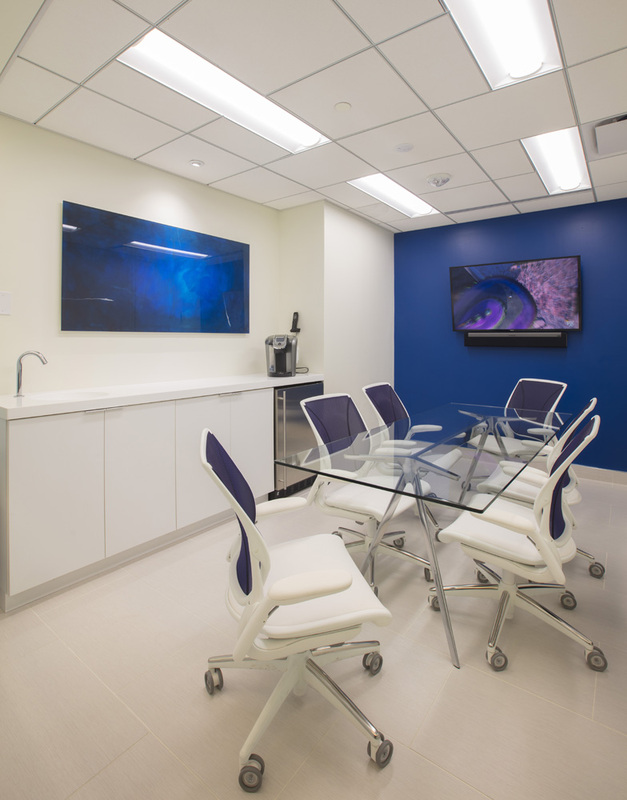 FORMA Design was professional and creative throughout the entire design and build-out processes, bringing knowledge and expertise to the table to help lead the construction effort. 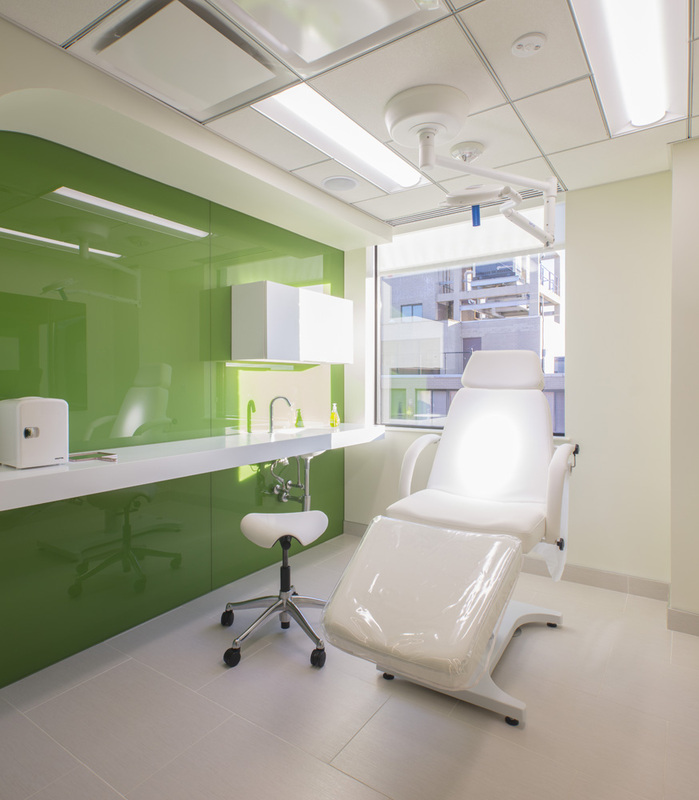 Their impeccable reputation in working with medical and dental professionals nationwide made working with FORMA Design an easy decision. 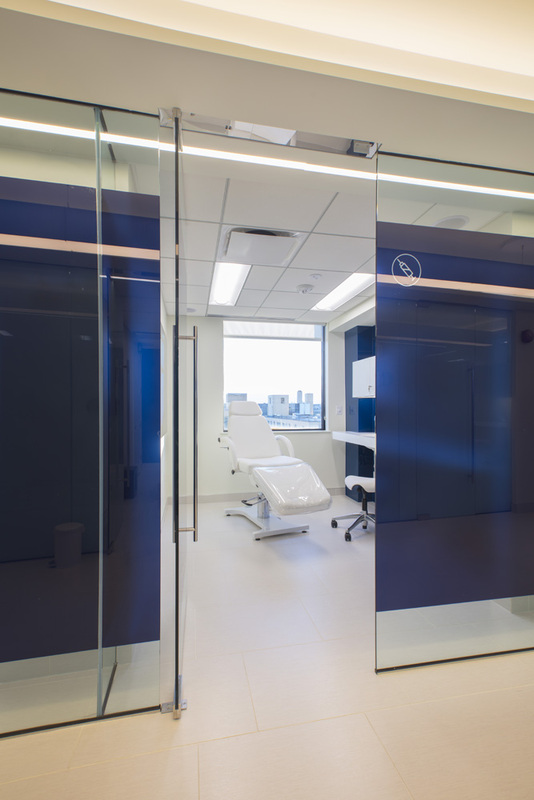 With FORMA we set out to build a state-of-the art innovative Wound Care and Aesthetic practice that provides our patient partners with a positive, energetic, and innovative choice. In a competitive medical market FORMA helped us achieve this goal. 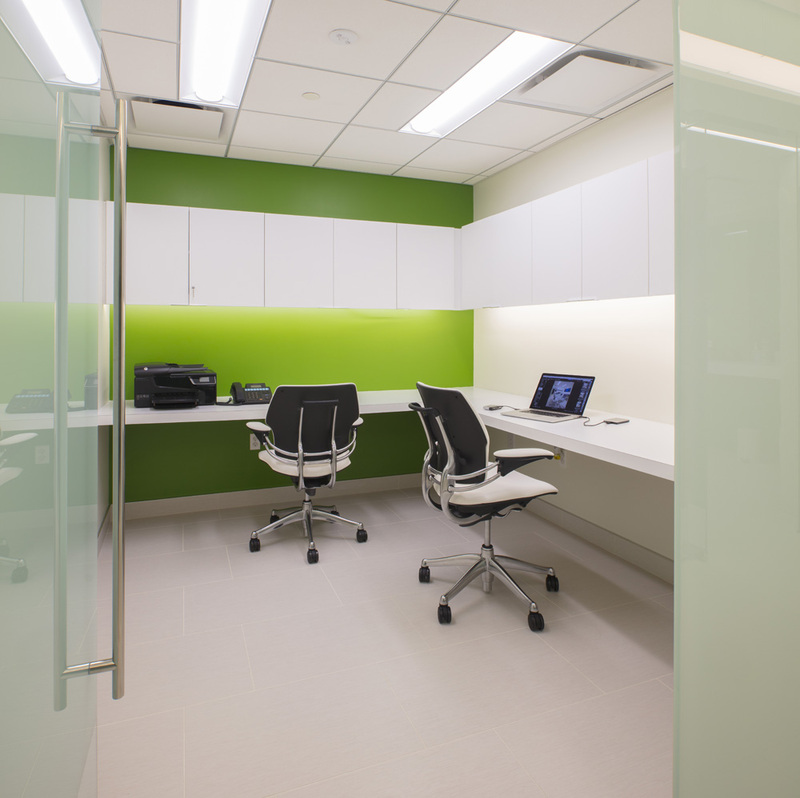 Patient feedback on our space has been overwhelmingly and enthusiastically positive! 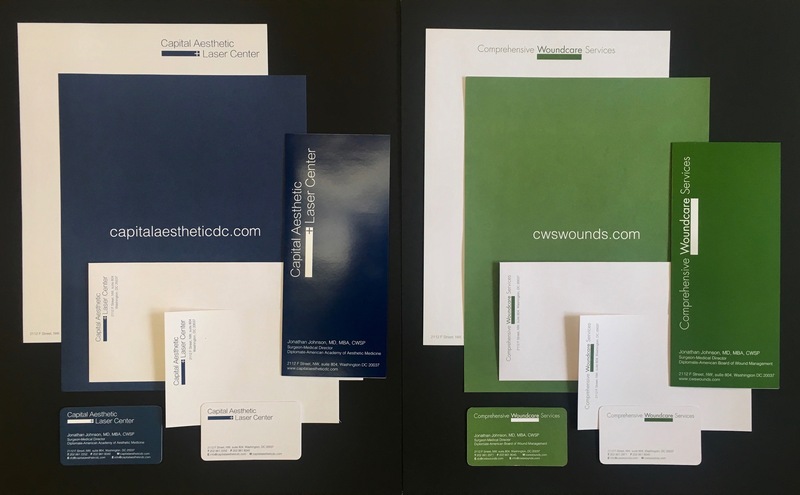 Our Wound Care and Aesthetic practice is a professional "second to none" facility in the DC, Maryland, and Virginia areas. 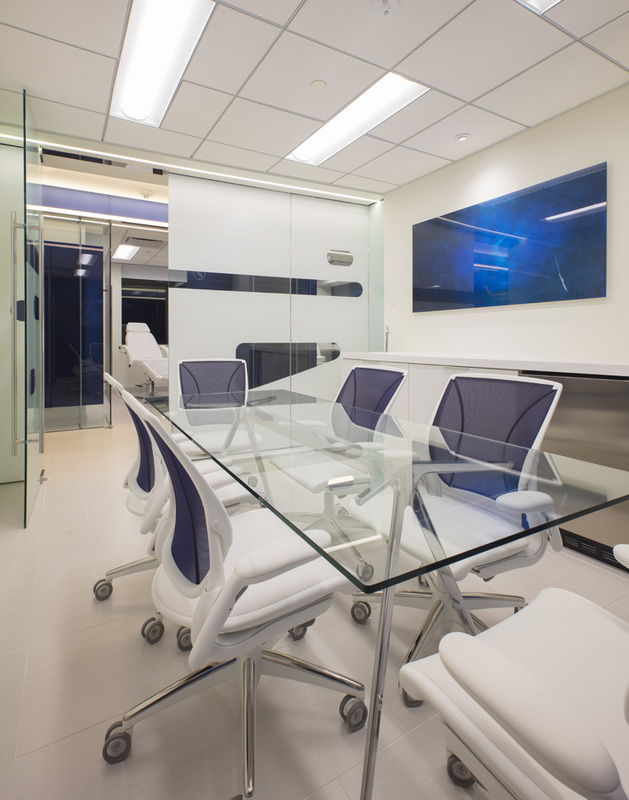 We could not be happier with the results and look forward to future collaborations with Andreas, Juan, and FORMA Design!"